Disclosure: Mom Among Chaos received items to facilitate this giveaway. All opinions are 100% my own. Summer is almost here! 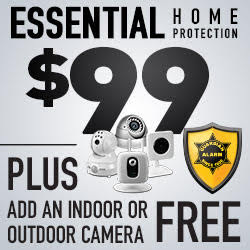 That means picnics, baseball games, barbecues and all the fun of enjoying the great outdoors with your family. There’s one thing no one likes about being outdoors, though, mosquitoes! Not only are they a nuisance, but they also pose potentially serious health risks. Fortunately, the experts at Orkin study the science of mosquitoes and other pests closely in order to better tailor plans that help keep them out of your home this summer. 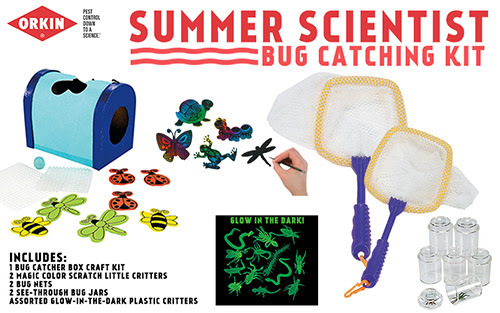 One lucky Mom Among Chaos reader will win an Orkin Summer Scientist Bug Catching Kit. Enter to win in the form below. Bug Catcher Craft Kits: These awesome DIY bug catcher kits will let your family’s personality shine through while also learning about nature and the world around us. The kits include a variety of foam ladybugs, dragonflies and more! See-Through Bug Jars: Reveal the wonders of your backyard with these clear bug jars. Each transparent plastic box has a magnifying lid for better insect viewing. Young explorers love discovering worms, butterflies, ants and insects. These containers allow them to make homes for their new discoveries. Ends 05/09/16. Winner must reply within 24 hours or a new winner will be chosen. The winner is subject to eligibility verification. Giveaway open to the U.S. only. The prize will be sent via FedEx or USPS. No P.O. Boxes please. Each household is only eligible to win Summer Scientist Bug Catching Kit via blog reviews and giveaways. Only one entrant per mailing address per giveaway. If you have won the same prize on another blog, you will not be eligible to win it again. Prize supplied by Orkin Rollins INC.